Thoughts of IT, engineering, and computer science don’t normally conjure up images of people who are the life of the party. Or even those who enjoy exchanging pleasantries. But, these unicorns of the tech world—those that have technical talent and people skills—do actually exist. You just have to know how and where to find them. The first instinct of any recruiter or HR professional is to look at the title. This can be a grave misstep because titles are often misleading. Titles like Field Engineer or Systems Administrator may not imply the full extent of the candidate’s experience working with others. While technical-sounding, candidates with these titles actually have to work alongside staff and clients on a consistent basis. 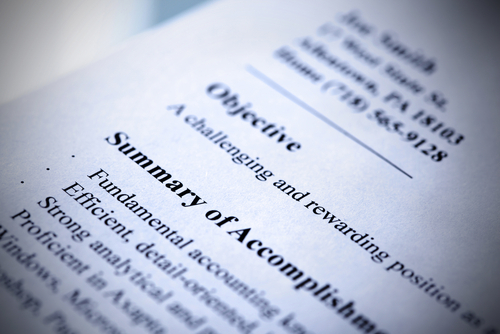 What’s a good way to make sure that you fully understand someone’s communication ability through his or her resume? See if they have any consulting experience. The word “consultant” doesn’t have to be in the title, either. For example, an applicant with experience in website coding design probably has had to communicate with clients and staff to deliver the desired result. Producing designs that are aligned with a company’s brand requires a high-level understanding of what a company’s culture is all about. Awareness of company culture is usually an indicator of someone who can appreciate the value of a company’s people. So they can talk the talk, but can they walk the walk? Once you’ve found someone who appears to have all the skills on paper, how do you know if they can walk the walk? A technical skills screen is probably the first thing that comes to mind, but it isn’t the only thing you should be doing. It’s crucial to make the most out of group interviews and phone screens. Seeing how people interact with others is a good way to gauge overall social skills, so is asking questions about what they do and don’t like about their current or previous positions. And then there’s the all-important question: would I enjoy going to dinner with this person? If they seem like someone you’d enjoy spending time with outside of the office, it’s likely they’ll be just as interesting to work with. Hold the phone, social media is important too? The phone screen doesn’t have to be brutally difficult. It can actually be quite the opposite. In addition to observing how easy they are to communicate with over the phone, asking people simple, casual questions—such as what they like to do outside of work or what they’re truly passionate about—can give insight into their like or dislike of social interaction. You can tell a lot from a phone call, but you can tell a whole lot more about an applicant by their presence on social media and in their professional networks. People who have robust, but appropriate, social media profiles and who regularly attend networking events are usually people who enjoy the company of others. However, even the most people-oriented of tech talent may not be on LinkedIn. The reason is simple—tech talent is in high demand and many of the people with those skillsets don’t want to be bombarded by recruiters. If you do find a qualified applicant through LinkedIn with a strong profile and a few solid recommendations, chances are you’ve got someone with potential. You may have found the perfect candidate, now what? So you’ve found the illusory candidate with a mix of tech talent and people skills online. How do you woo them? By being personal. All too often, recruiters search strictly by title without doing any research about the individual before reaching out. Even though you may be searching for people with hard technical skills, they probably are driven by more than just a paycheck. Take time to figure out what someone’s previous work experience is and allude to it in your initial email. Be sincere when you ask them about what they want their job to look like, or what their passions are. A smart recruiter and HR professional shouldn’t just be looking for a technical skills fit—they should also be looking for potential employees who are looking to advance their careers over the long run. Searching for candidates with both the right technical skills and a big personality may seem like a lost cause. However, the more effort that’s put in to get to know the person behind the credentials, the more satisfied the person—and the company—is going to be with the job fit.